ear better, remember more, with less effort! Open up your world of hearing with the latest breakthrough in hearing aid technology. Oticon hearing aids and their hearing aid accessories are designed to help you communicate, interact and participate fully in life. Oticon connectivity transforms your Oticon premium level hearing aids into a wireless headset, making everyday interactions with family, friends and business activities easier and more practical. Engage in a world of possibilities with Oticon. Oticon’s streaming functions allow you to listen to music in stereo from your tablet or laptop, make and receive hands-free phone calls from your smartphone, and stream your favorite TV programs to your hearing aids to enjoy at the volume you choose. Oticon has a full range of hearing aid accessories that maximize your hearing potential. Oticon offers several remote control options to choose from so you are sure to find the solution that is right for you. Gain the confidence that your hearing aids won’t be lost or fall off, no matter how demanding the actions, with hearing aid retention cords. Oticon has several product lines of hearing aids, accessories and apps to provide solutions for your hearing loss problems. Following conversation in noisy situations is the number one challenge for people with hearing loss. Oticon solves this problem by working in harmony with your brain to improve your ability to understand speech better, and focus on what’s important even in complex listening environments. With Oticon, you will notice a decrease in listening effort and an increase in remembering more of what people said to you. If you suffer from tinnitus along with hearing loss, Oticon’s exclusive Tinnitus SoundSupport™ feature provides tinnitus relief sounds that can be used in conjunction with a tinnitus treatment plan. Oticon hearing aids are designed with input from people who know the everyday challenges that come with severe to profound hearing loss. Slim, discreet and designed for reliability, Oticon hearing aids are designed to meet the needs of Super Power hearing instrument users and provide the ability to connect in new ways. Select Oticon hearing devices sync seamlessly with your mobile devices, turning your hearing aids into wireless headphones that you can control with their easy-to-use Oticon App. The App also has a “locate my hearing aids” feature if they are lost. Oticon devices help you link your hearing instruments wirelessly to cell phones, landline phones, TVs and Bluetooth audio devices. These devices make it easy and convenient to use your hearing aids as a personal wireless headset for richer, more enjoyable sound. 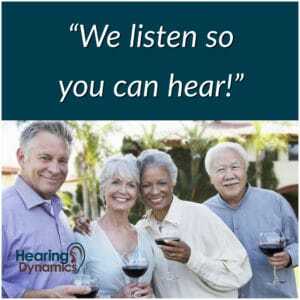 Need hearing aids? Here’s John Harvey’s experiences with Oticon hearing aids… for your consideration.